Georgian Diamond and Yellow Gold Sevigne. 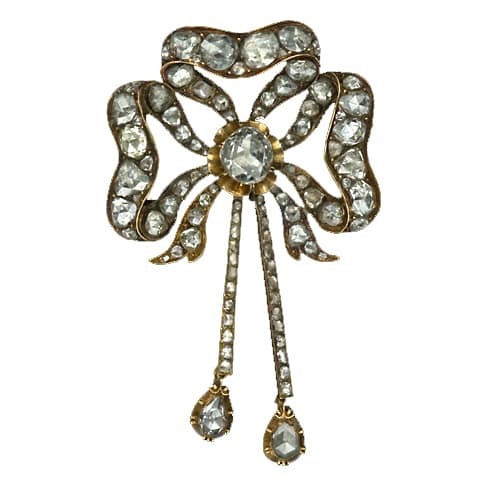 A sévigné is a type of bow brooch which was popular in the 17th and 18th centuries and named for a member of the French Court of Louis XIV, Marie de Rabutin-Chantal, Marquise de Sévigné (1626 – 1696). It was originally a flat, symmetrical ribbon bow which was worn centered low on the bodice. Later examples became more elaborate, asymmetrical and dimensional, sometimes suspending gemstones or pearls in a girandole style. 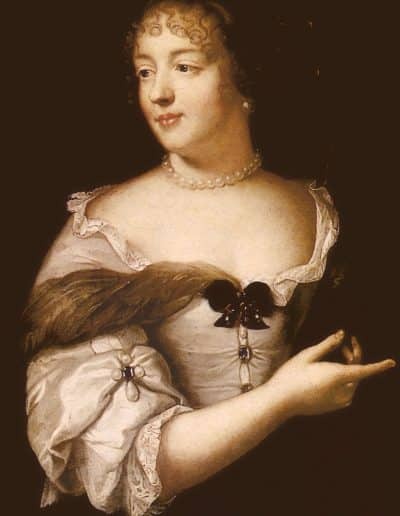 The French painter Claude Lefebvre immortalized the Marquise wearing such a sévigné in a painting which currently hangs in the Musée Carnavalet, Rue de Sévigné, Paris. 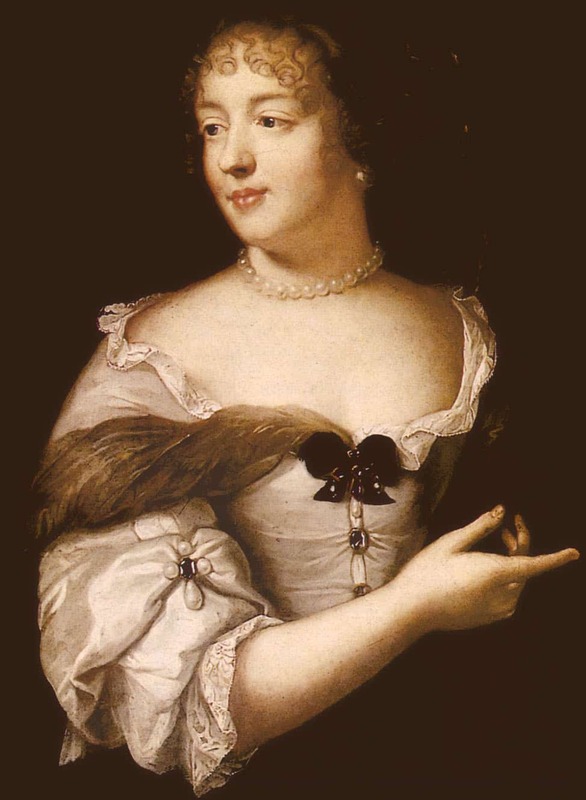 Marie de Rabutin-Chantal, Marquise de Sévigné by Claude Lefebvre. Nanette Kaula Wearing a Sévigné Brooch. 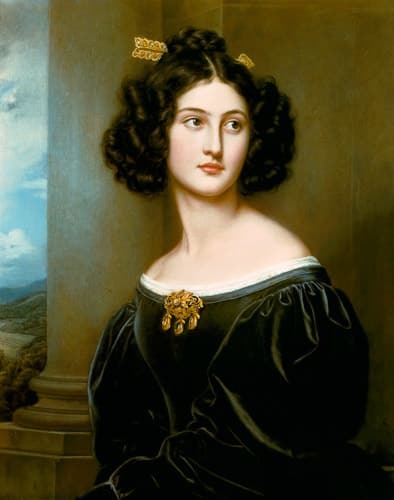 By J.K. Stieler, 1829.